* High qualityGalileo Pro RCT6513W87 digitizer touch screen replacement. * All our touch screen come with pre-cut adhesive type on the back side and 5pcs opening tools, easy install by yourself. Come with pre-cut adhesive type on the back side. Replace the cracked, defective,unresponsive non-working touch screen. Package includes: 1 pcs touch screen replacement / 1 set opening tools / 1 roll of 3mm adhesive type. If you have any questions about this product by Atabletparts, contact us by completing and submitting the form below. If you are looking for a specif part number, please include it with your message. 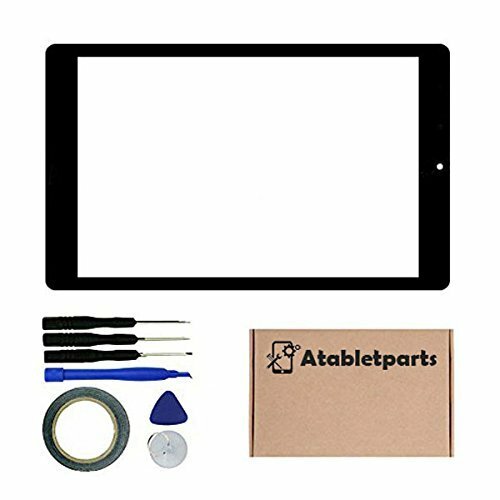 Zentop Touch Screen Digitizer replacement Assembly for Black iPad 3 Model A1403, A1416, A1430 whit Home Button, Camera Holder ，Preinstalled Adhesive，Frame Bezel, tool Kit. Zentop Touch Screen Digitizer replacement Assembly for White iPad 3 Model A1403, A1416, A1430 whit Home Button, Camera Holder ，Preinstalled Adhesive，Frame Bezel, tool Kit.